Of every film genre, horror stands out as the least-favored amongst critics. Why is that? Think about it. Underdeveloped scripts, horrible acting, weak character development, cheap scares, and excessive gore…you get the picture. But not every horror film succumbs to such filmmaking fallacies. And while a majority does, there’s a near handful that make it work to its benefit. So discovering a great horror film isn’t so much trick or treat—it’s stumbling upon a well-received franchise that is. Surprisingly, we’ve actually found six that have went on to garner huge fanfare and medium critical praise, while offering some great entertainment value that has drawn viewers into every one of its follow-ups. Take note of the 6 Most Well-Received Horror Film Franchises. 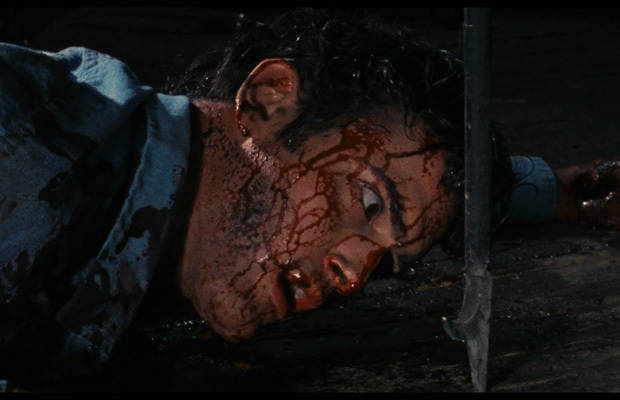 If there was a film series that was best defined by its lead character—it’s Evil Dead. Sam Raimi’s demonically demented, yet comical films combined gore with laughs at the expense of star Bruce Campbell, who is hands down the greatest horror badass ever in the role of Ashley” Ash” Williams—the shotgun carrying, chainsaw-wielding housewares clerk at S-Mart. Those who’ve seen the third film, Army of Darkness, catch the quip. Though the first one earned mixed reviews, all three movies have generated a more positive response throughout the years due to its massive cult following. It’s amazing how a charismatic protagonist with bad luck and a knack for killing “deadites” can carry a franchise to such mainstream fame. At a time where the horror genre nearly became extinct, that being the mid 90s, along came a film about a copycat killer(s) dressed in a ghost-like costume that found inspiration and motif through horror classics to go on a psychotic murdering spree. The film: Scream. 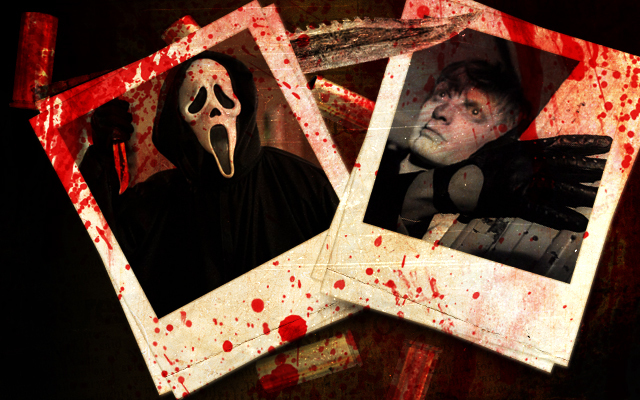 Screenwriter Kevin Williamson breathed life back into the genre and resurrected the slasher film craze by poking fun of its clichés and welcoming a new baddie that would become a modern horror and Halloween favorite in Ghostface. Scream literally stabbed you by surprise, from the opening death scene with superstar (and suspected lead) Drew Barrymore to the unveiling of not one, but two murders stalking scream siren Sidney Prescott (Neve Campbell). The sequels didn’t only stick to the rules of the slasher genre—they reinvented the standards for today’s audiences—producing unsuspected thrills and kills in the cleverest of ways. And what the sequels might have lacked in carnage, each made up for in suspense-filled moments and laughable cynicism. Judging by the box office results of the fourth, many have fallen off the Scream bandwagon, but for those who have yet to experience Sidney’s latest encounter with Ghostface, all we’ll say is that the it stays true to the first and suffices as a true sequel to the second. When it comes to the supernatural spine-tingler Paranormal Activity, Roger Ebert said it best: “It illustrates one of my favorite points, that silence and waiting can be more entertaining than frantic fast-cutting and berserk f/x. “ Yes indeed, as director Oren Peli went all Blair Witch on audiences by ditching the high-tech camera and CGI work in exchange for the home video, raw footage approach. And the payoff is one of the most original, frightening, and intense films of all time. Sure, maybe the theory of a demon haunting a young couple in their new home is far from groundbreaking, but its delivery on the big screen is, as viewers are foolishly persuaded in believing they’re actually watching true paranormal activity (no pun intended). The first two films stood true to the series mythology and relied heavily on psychological manipulation to instill fear, while the third increased the scares and became the most successful entry. As with every film, Katie and Kristie leave us both terrified and wanting more. Teases. 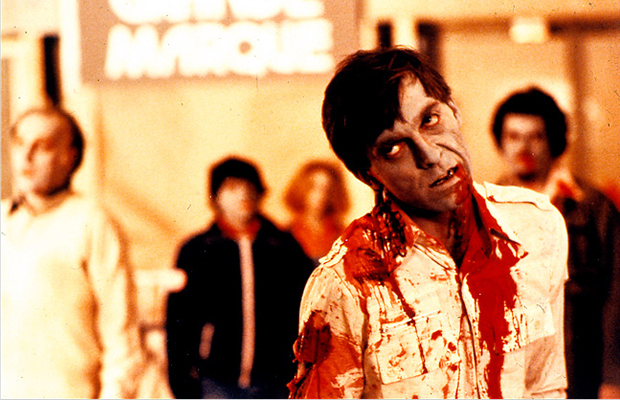 For nearly five decades, the godfather and originator of the zombie genre, George Romero, has served as a monumental horror figure—with his films Night of the Living Dead and Dawn of the Dead becoming precursors for today’s undead-inspired films, remakes, TV programs (you know exactly what we’re referencing), and even video games. Every Dead film masterfully adapted to its time period, introducing audiences to new apocalyptic encounters and strategic measures for surviving the walking dead. Granted Romero’s most recent attempts (Survival of the Dead) were critically panned, it’s the earlier films that have stood the test of time, cementing the Cuban director’s spot on the Mount Rushmore of Horror. Playing on the concept that if you die in your dreams, you die in real life, Wes Craven created a franchise, and villain, that defied the conventional slasher film and made it near impossible to fall asleep without fearing the boogeyman. The Nightmare series brought together traditional and mystical horror in the form of surreal dream sequences and real-life massacres, thanks impart to the diabolical antagonist known as Freddy Krueger. The dream demon’s ability to access a victim’s subconscious and torment them before execution frightened everyone to the point where they slept with a nightlight and their eyes open under the covers. Don’t front, you were one of them. 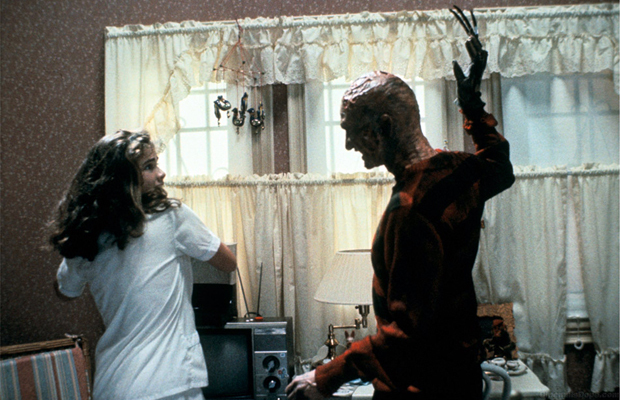 While the series was a mixed batch of great and terrible, overall, the good outweighed the bad, with sequels like The Dream Warriors making Freddy a pop culture icon and the underrated New Nightmare ushering in the art-imitating-life films such as Scream. Attribute its longevity and relevance to the great acting performances of star Robert Englund. Nothing is more frightening than the unexpected presence of death itself. Well, that and horror film staple Tony Todd uttering creepy sound bites to those who’ve survived the Grim Reaper’s wrath. The Final Destination films challenge the notion of predestined expiry through clairvoyance, bringing together an innocent group of civilians that narrowly escape the claws of death and meet their demise through the most unforeseen circumstances. Truthfully, the infamous bus kill from the first movie made the series an instant draw, and since then, each entry has continued to shock us with its innovative executions. Hey, with over six million ways to die, it’s impossible to grow tired of surprising and excessively gory death scenes. Right? Would’ve liked to have seen Friday the 13th or Saw on here, but still a good list.